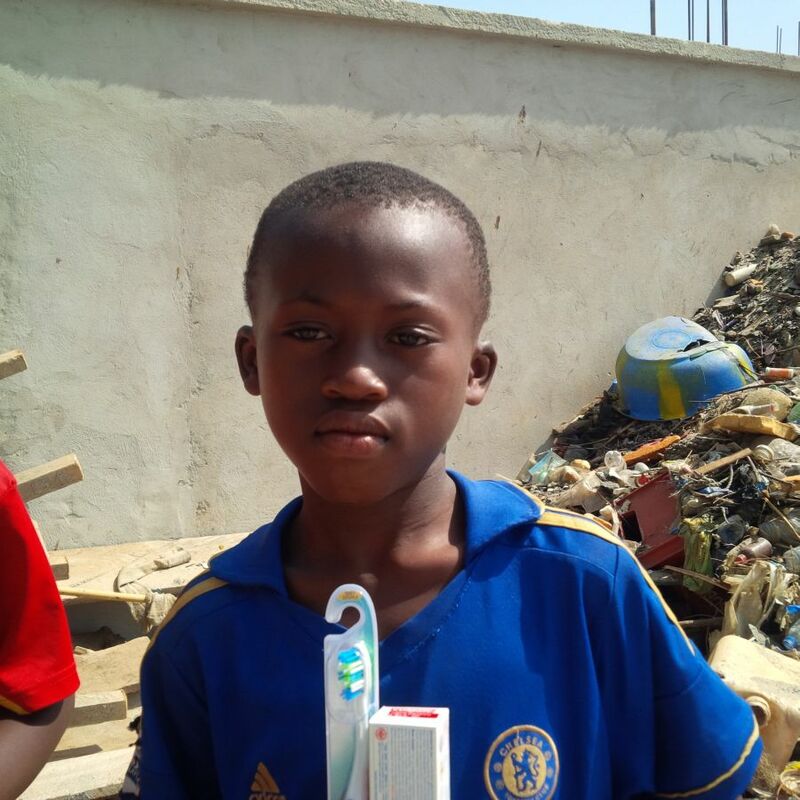 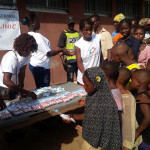 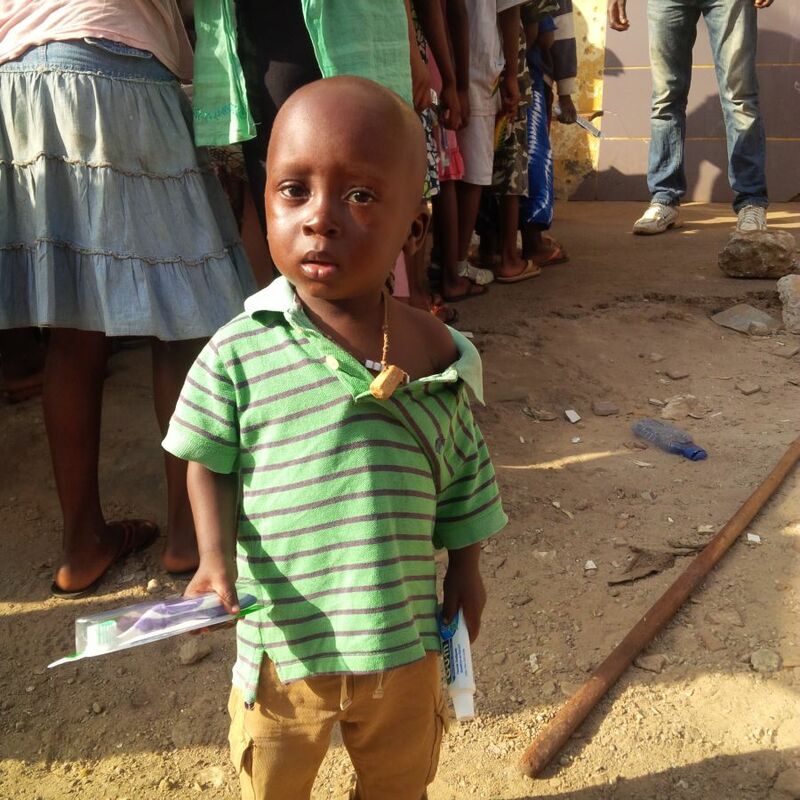 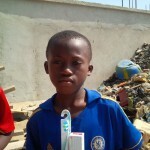 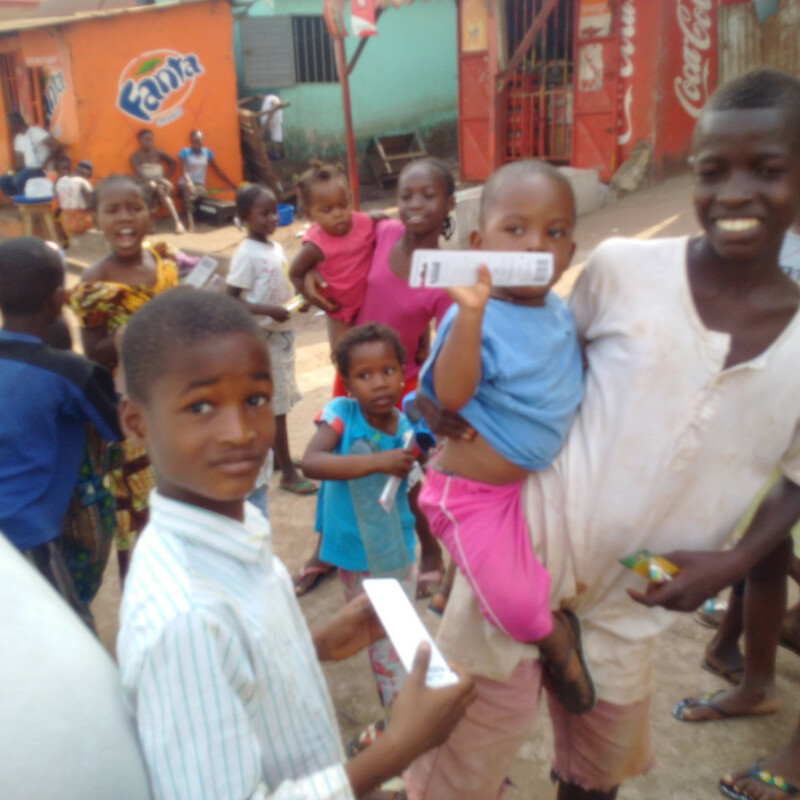 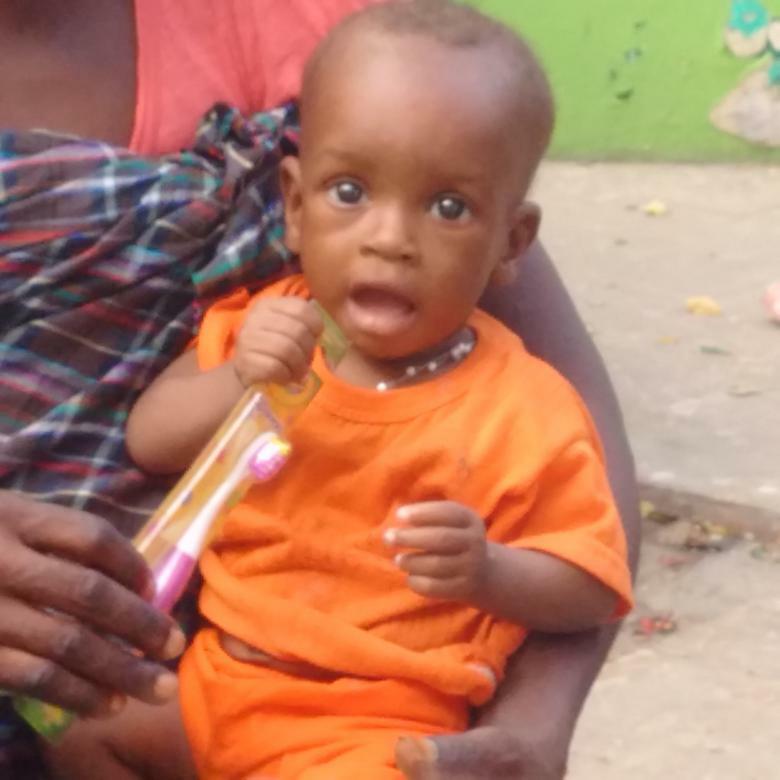 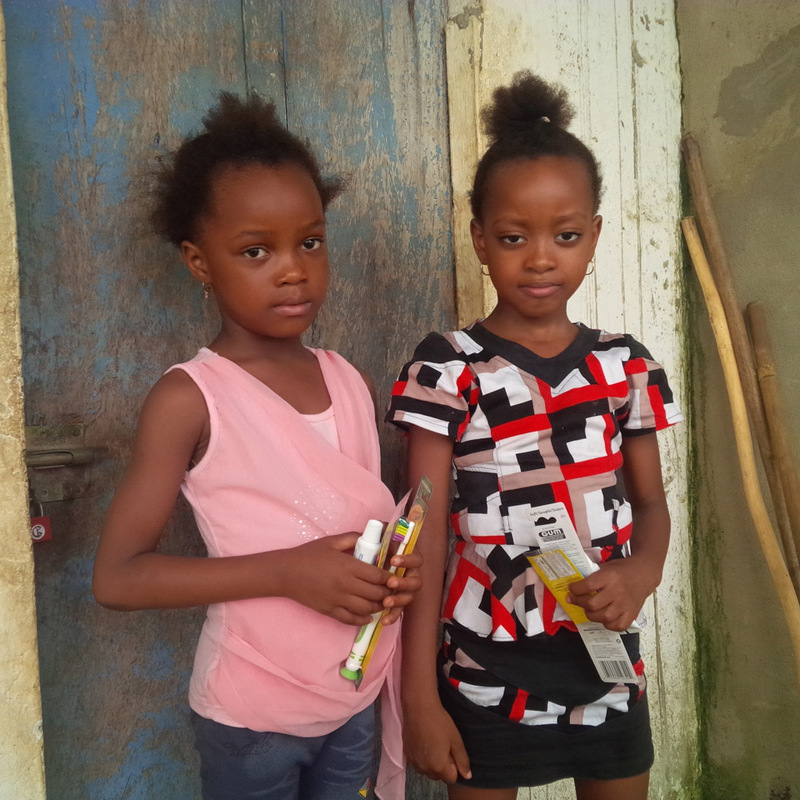 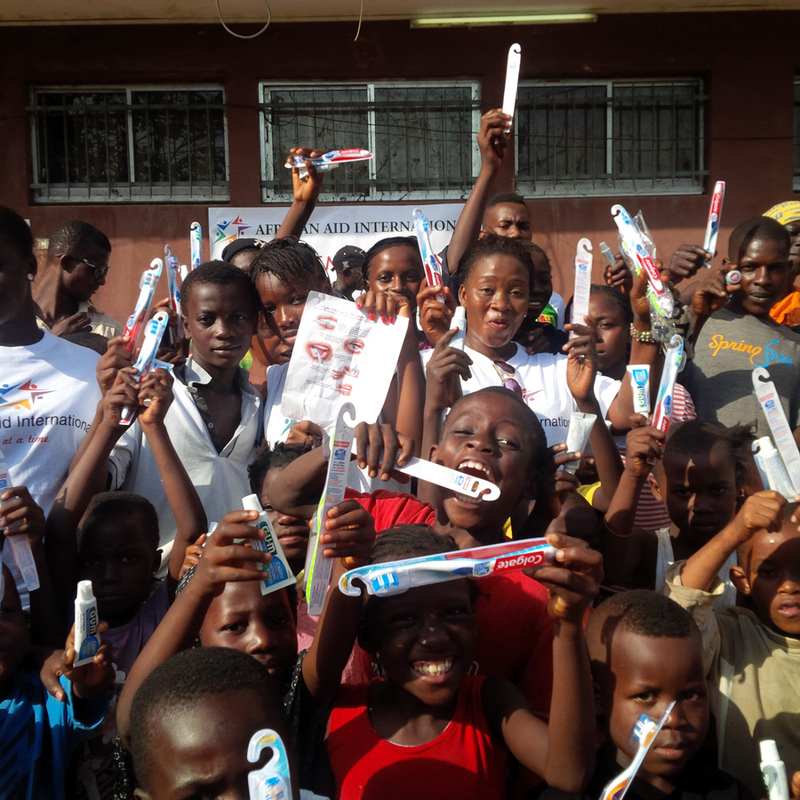 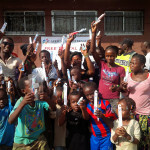 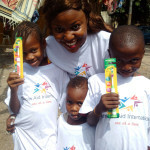 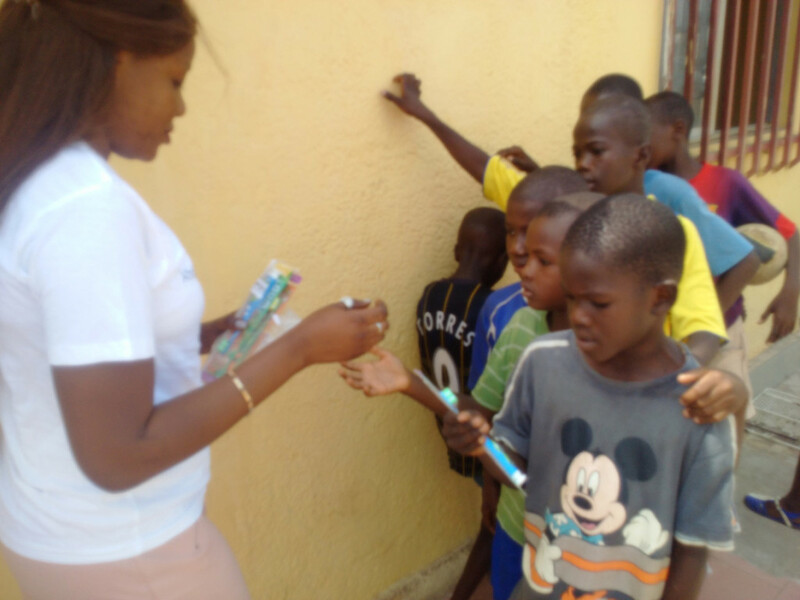 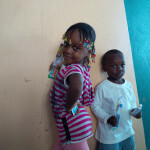 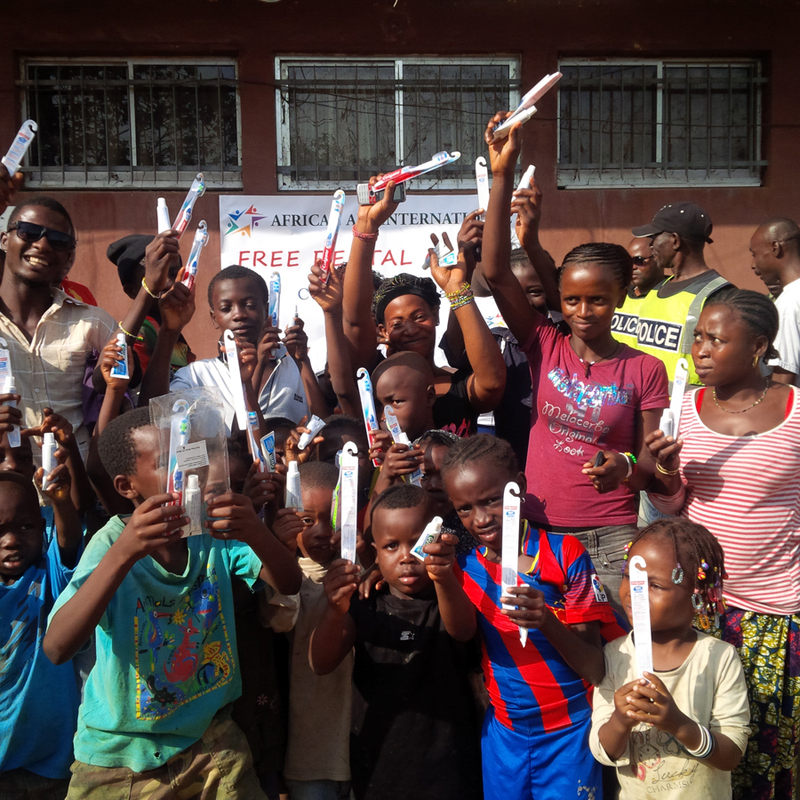 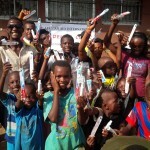 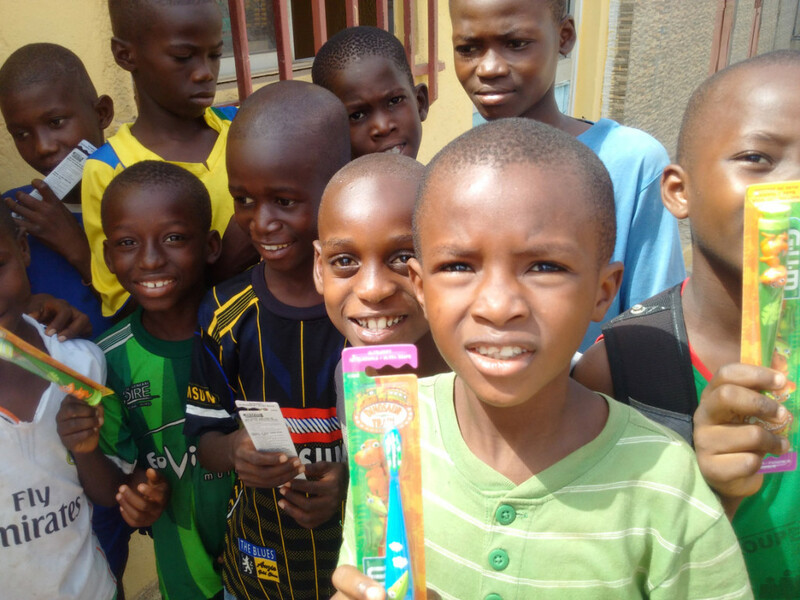 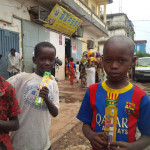 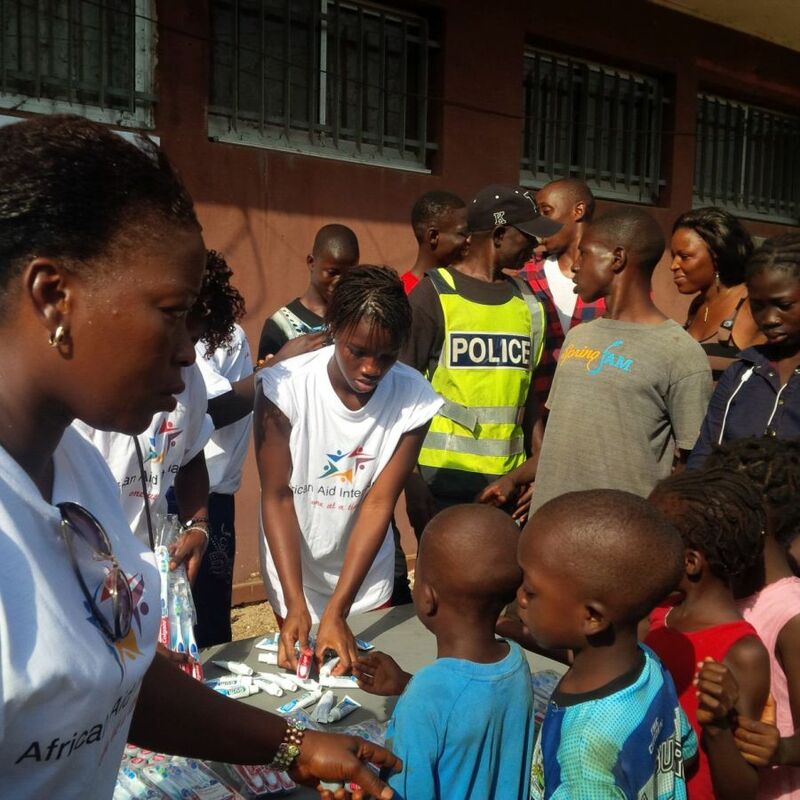 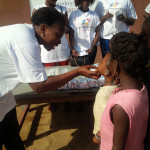 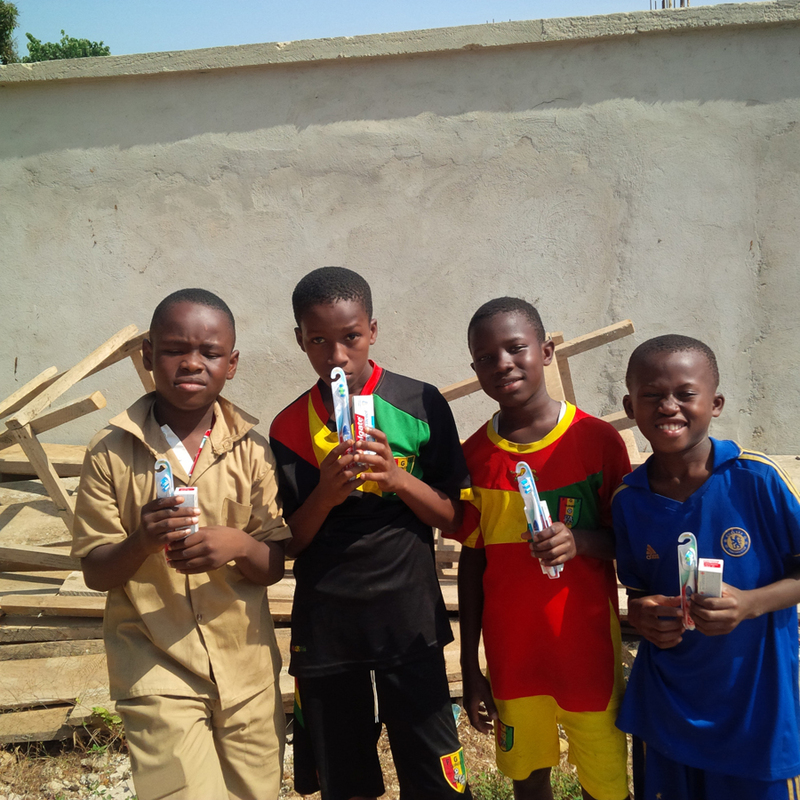 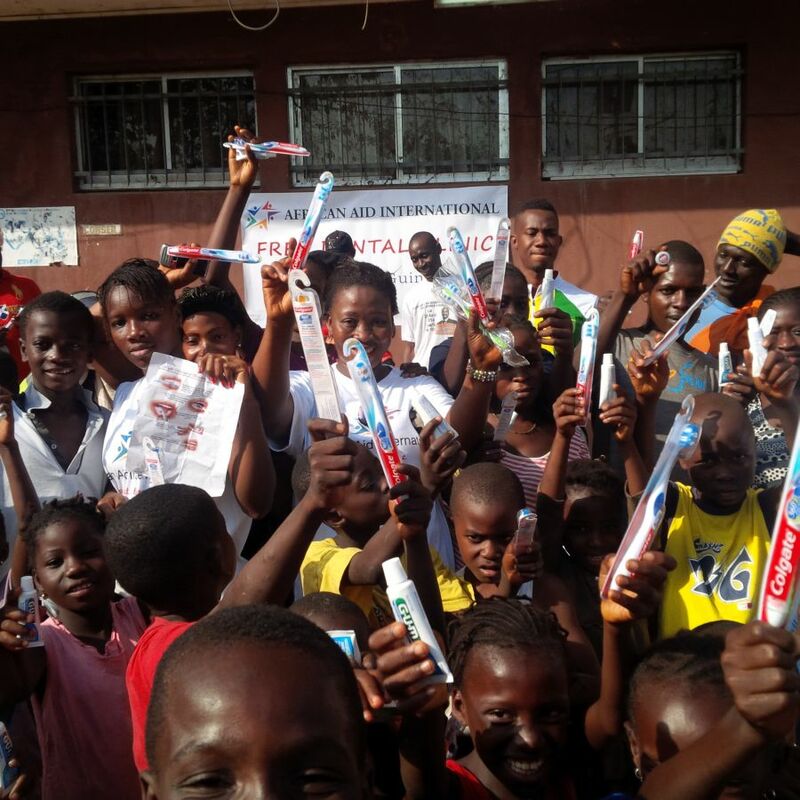 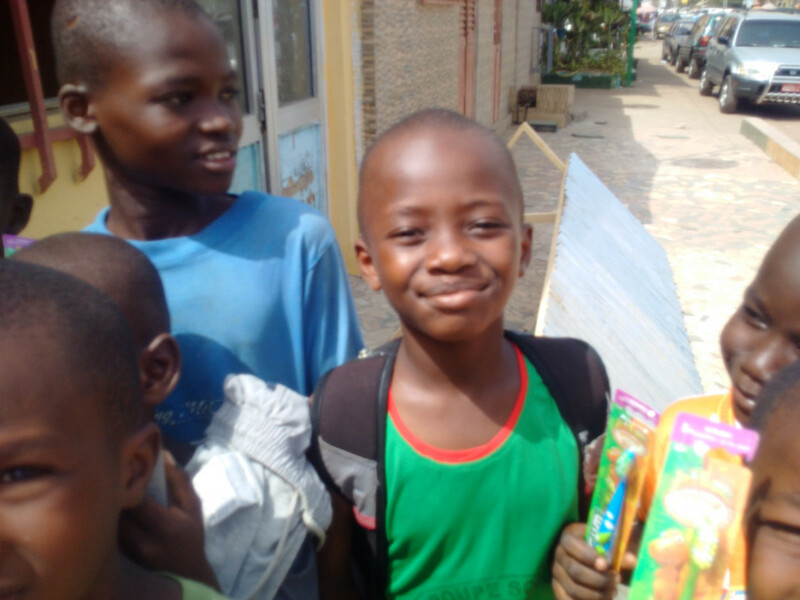 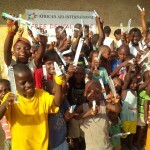 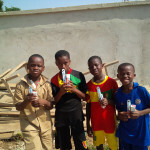 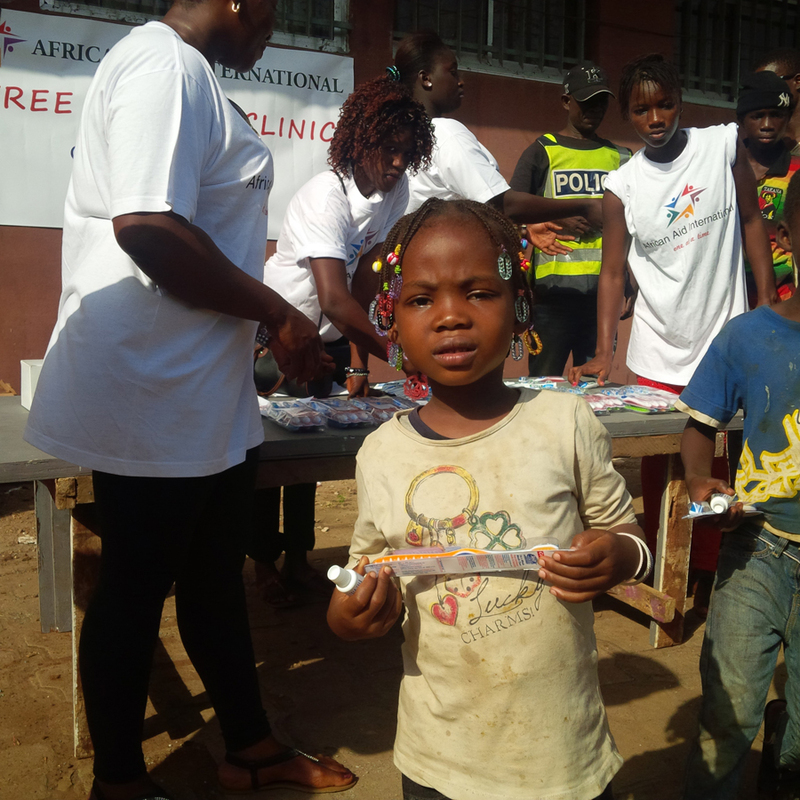 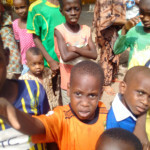 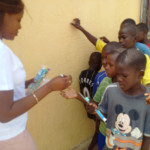 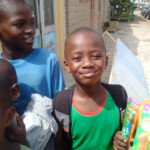 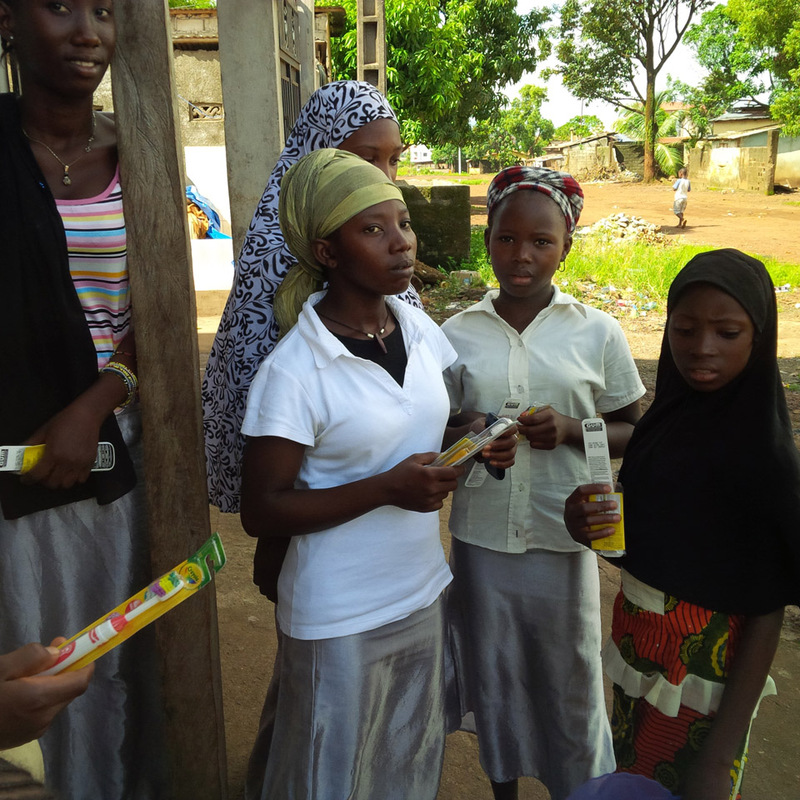 We distribute tens of thousands of toothbrushes and dental supplies to West African children and families through our programs each year, as well as educational material to promote dental hygiene as a part of daily life. 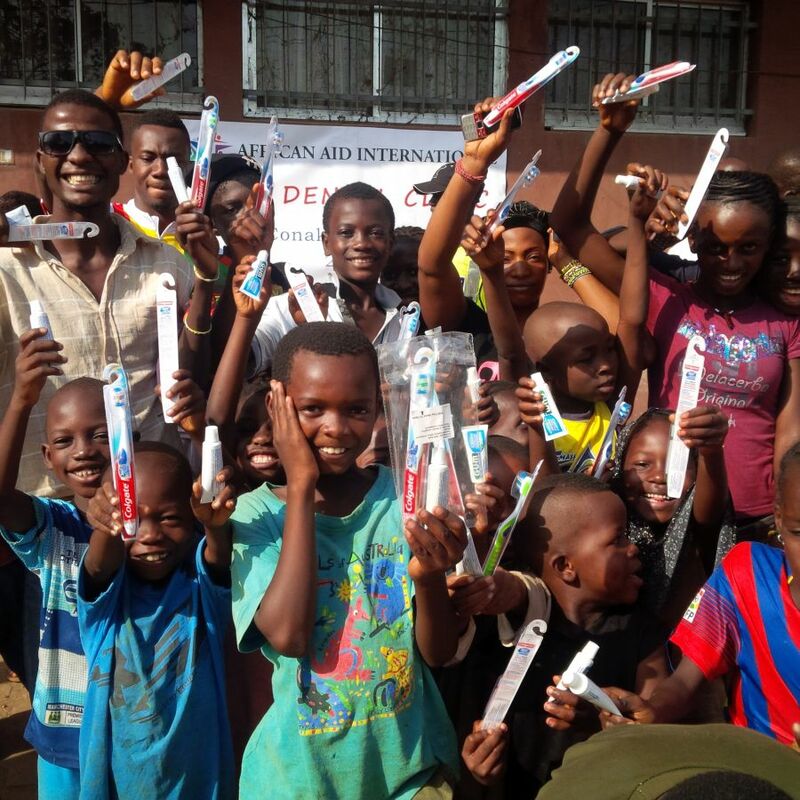 Toothbrushes are crucial in the prevention of dental decay and disease, but many simply cannot afford one. 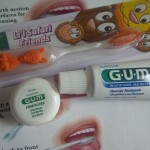 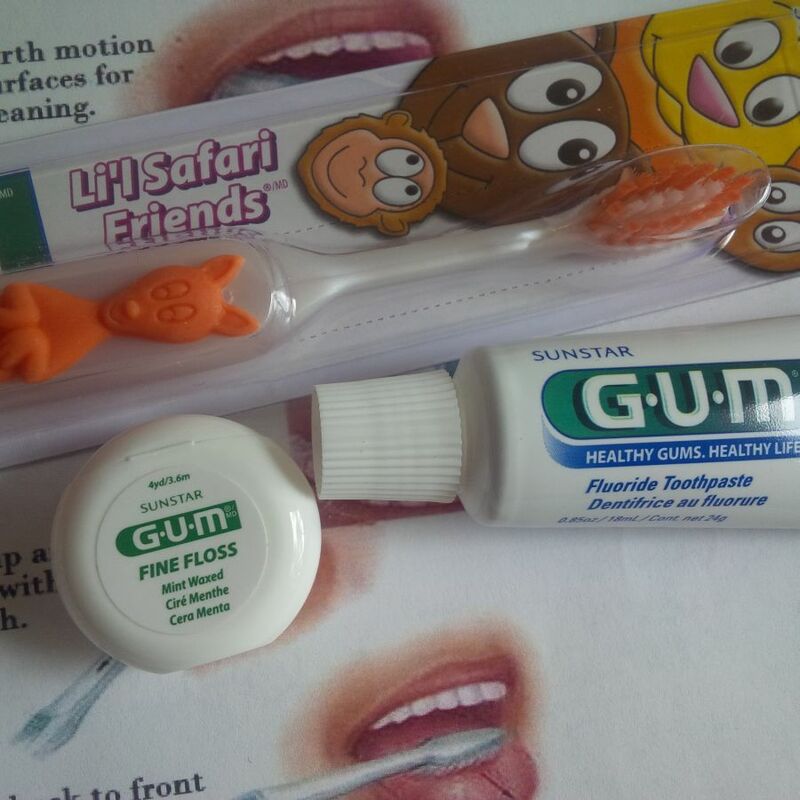 By providing the tools and knowledge necessary to maintain oral health at a young age, most of the horrible cases of dental disease we treat each year can be prevented. 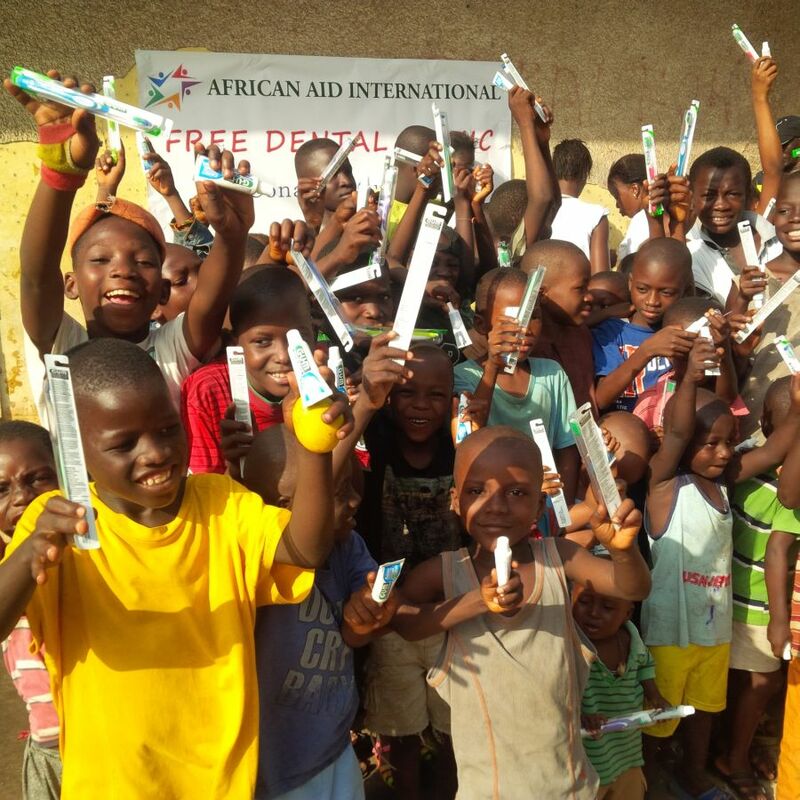 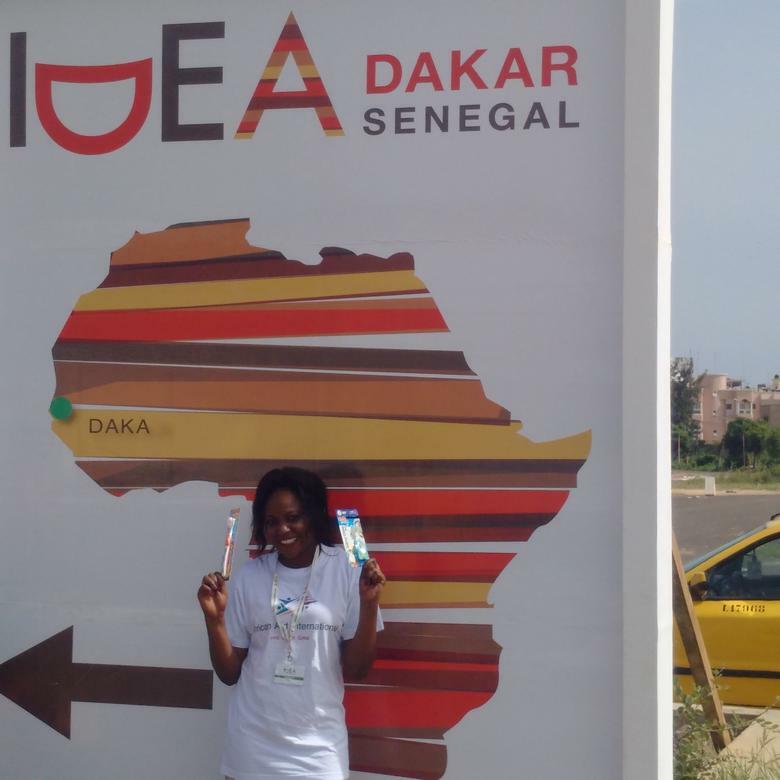 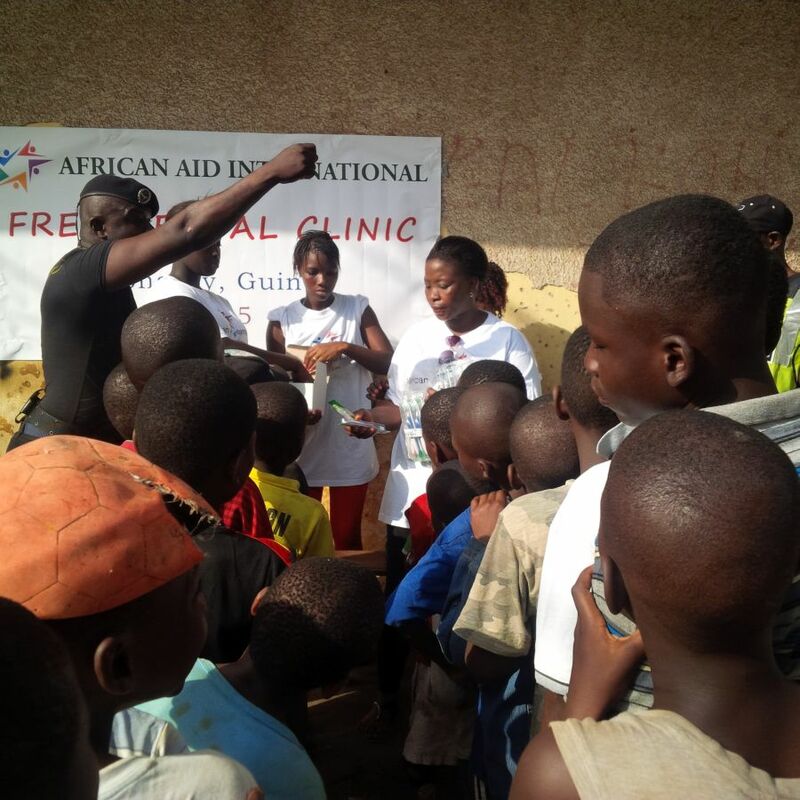 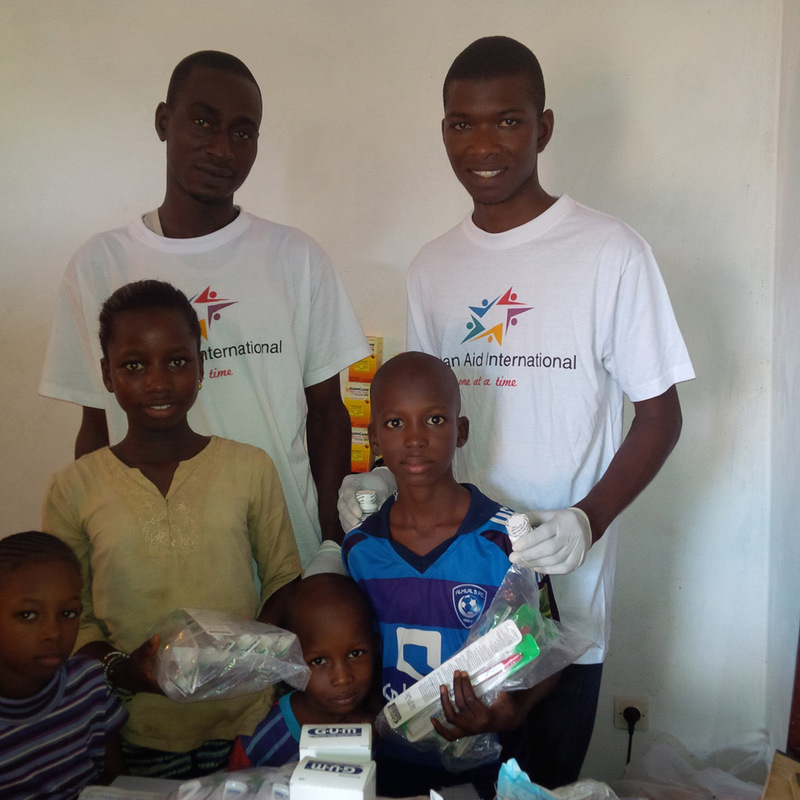 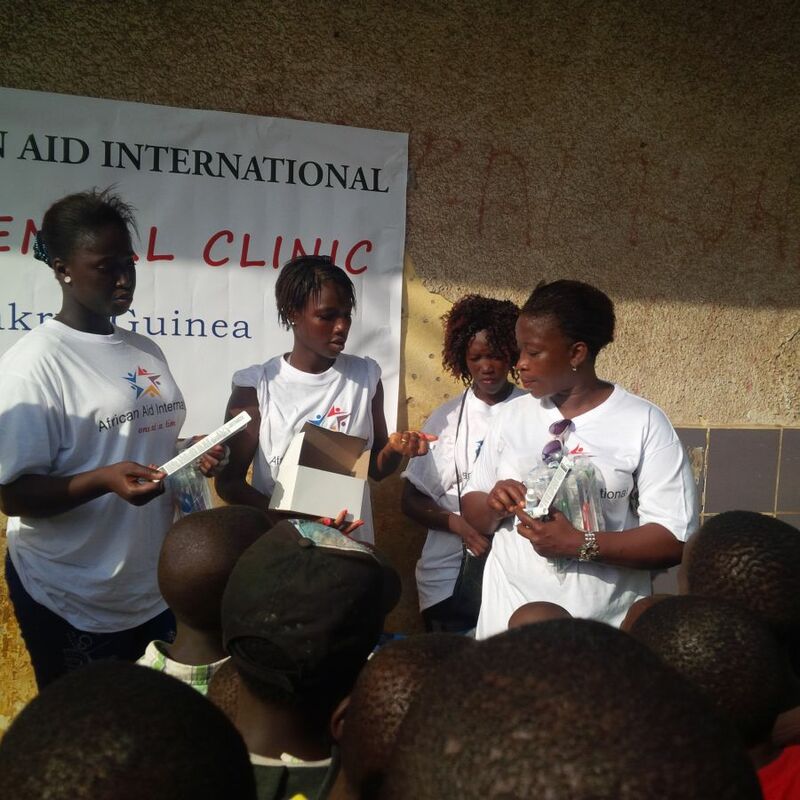 Since 2014 we have distributed over 35,000 dental care kits in the greater Conakry area, as well as in neighboring Senegal. 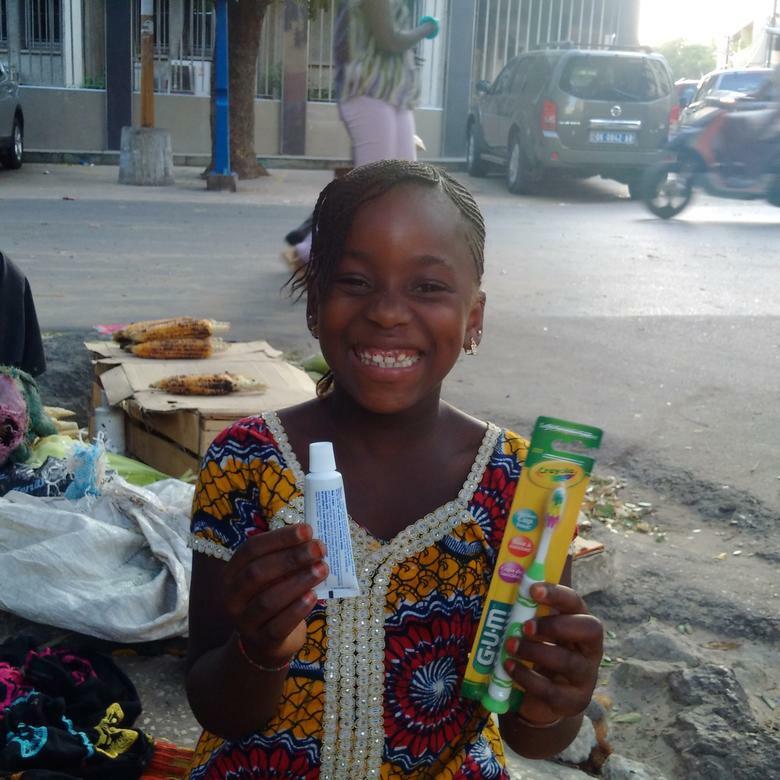 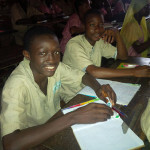 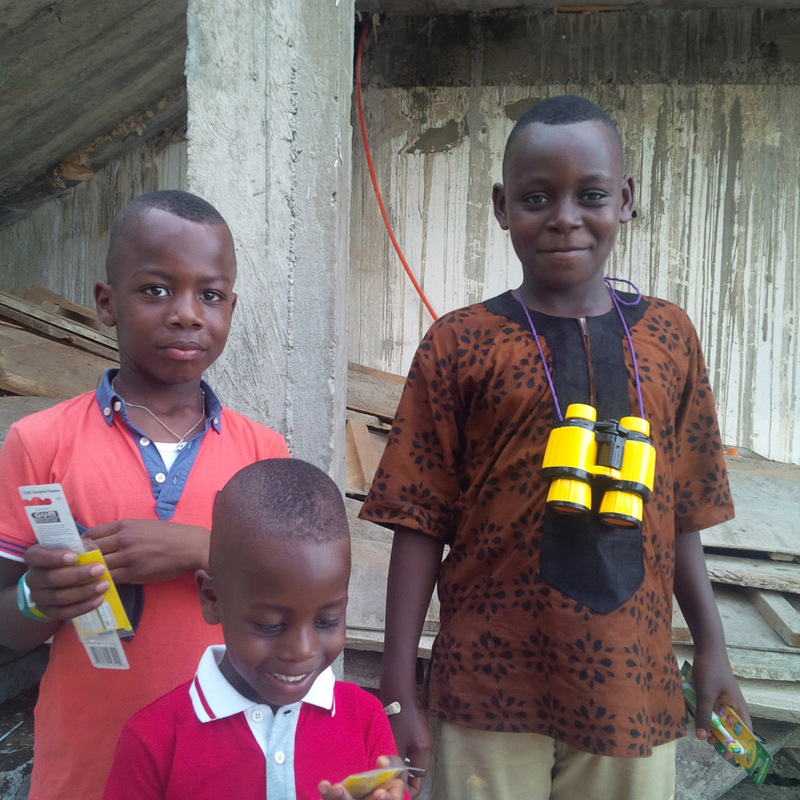 In 2018 we will distribute well over 25,000 kits, mainly to children as we expand our program in additional local schools and to more remote communities. 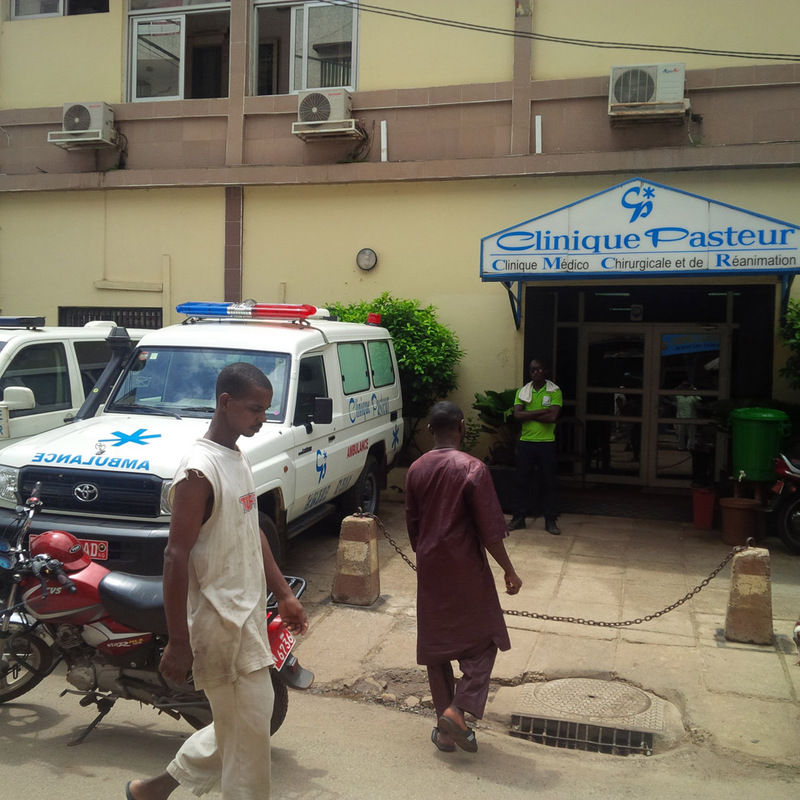 Since 2014, our dental program in Conakry has treated thousands of patients in local clinics which AAI has subleased for our treatment program. 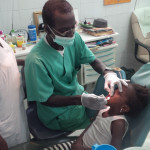 Overseen by Dr. Mohamed Camara, a highly regarded local dentist with many years of professional experience who has also served as the local dental coordinator for the Mercy Ships program in Guinea, we have eased the suffering of many desperate people with nowhere else to turn. 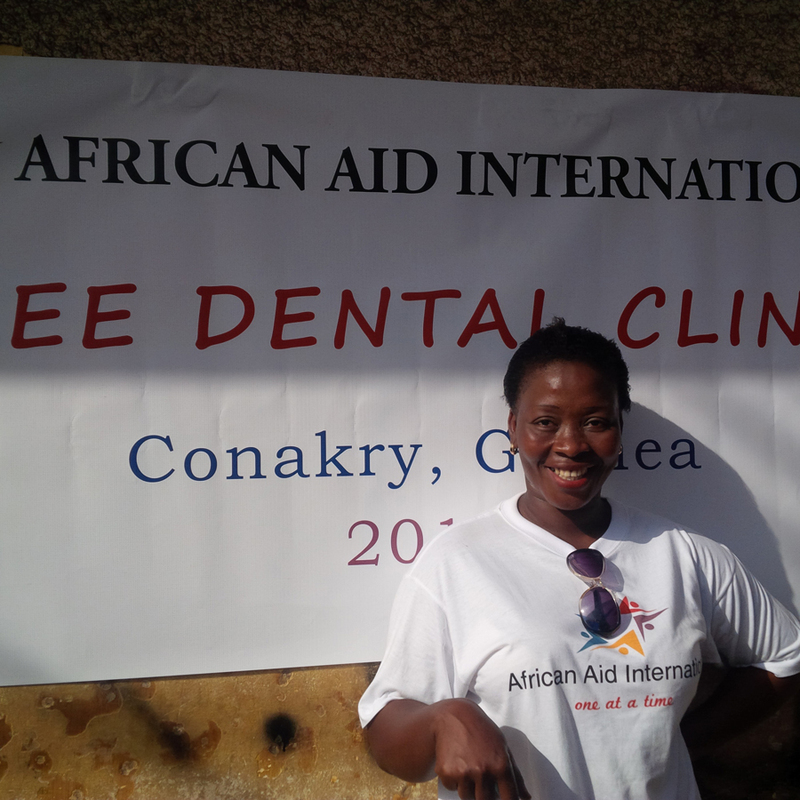 AAI recently expanded our dental program to Bonfi, where we opened our first dedicated Free Dental Clinic in August 2017. 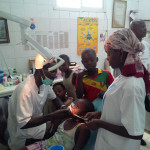 Our facility is the only one of its kind in Africa, and brings relief to thousands of suffering people each year. 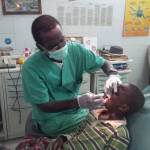 In a region where poverty and pain are endemic, and where dental care is simply not available or affordable, we focus on treating the most severe conditions first. 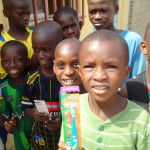 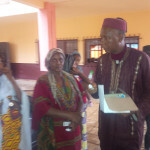 Following treatment, patients are given dental kits and shown how to use them so they can begin managing their oral health properly, helping to avoid future dental problems. 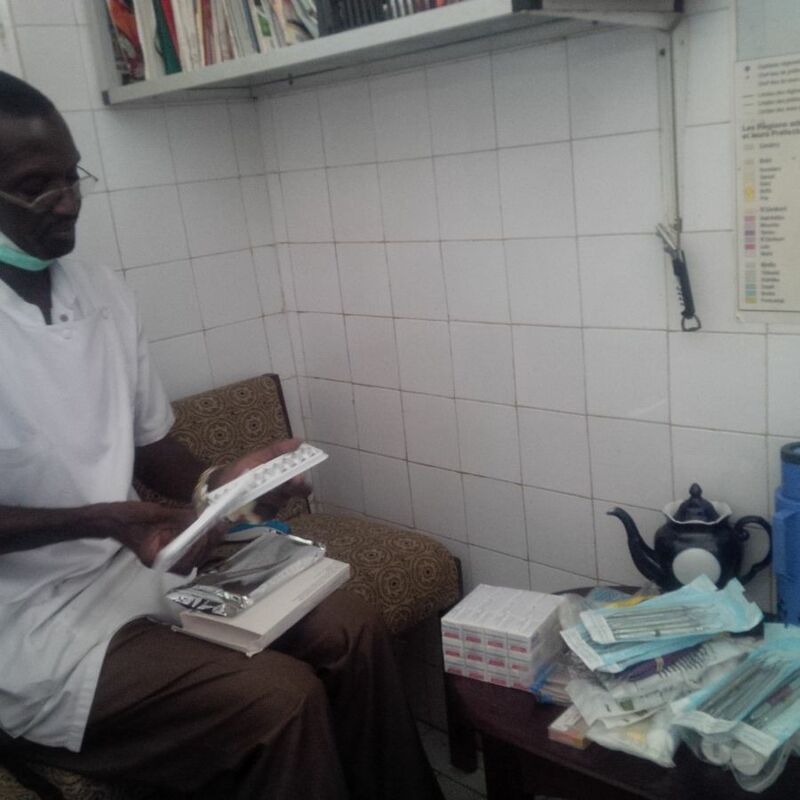 Under the experienced local leadership of Dr. Karim Keita, also a veteran of Mercy Ships, we plan to expand our clinic from one treatment room to three over the next year, as soon as funding becomes available. 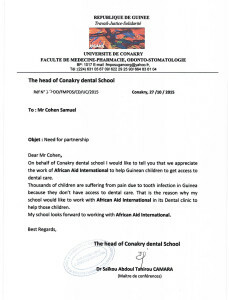 AAI has entered into an agreement with the Conakry Dental School for our clinic to serve as the training facility for the next generation of local dentists. Graduating dental students will intern in our Bonfi clinic, which will provide them the opportunity to treat patients in a Western standard, fully equipped clinical facility. 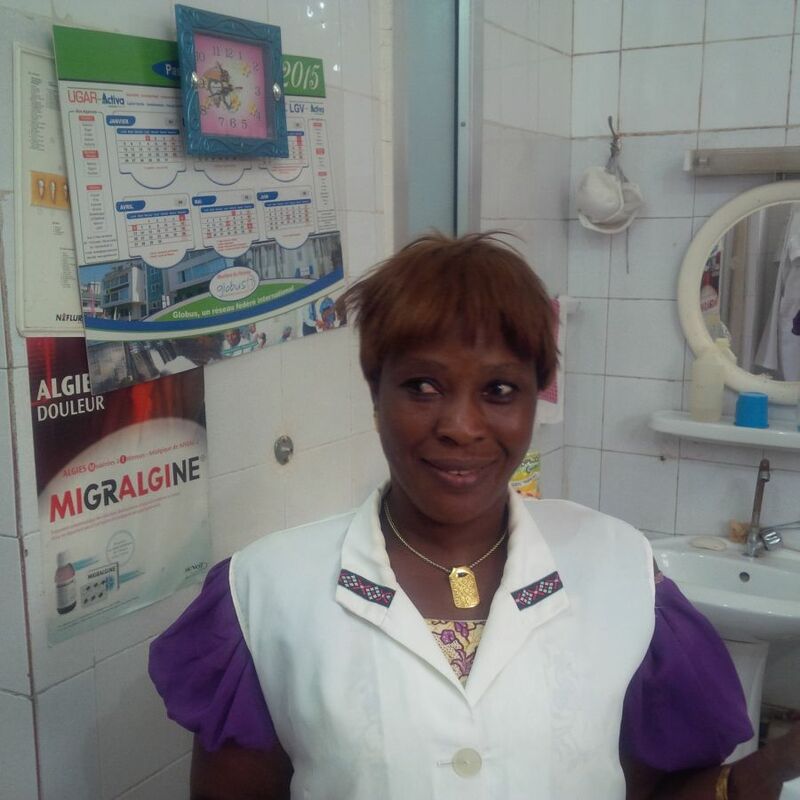 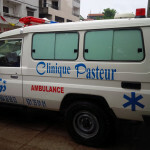 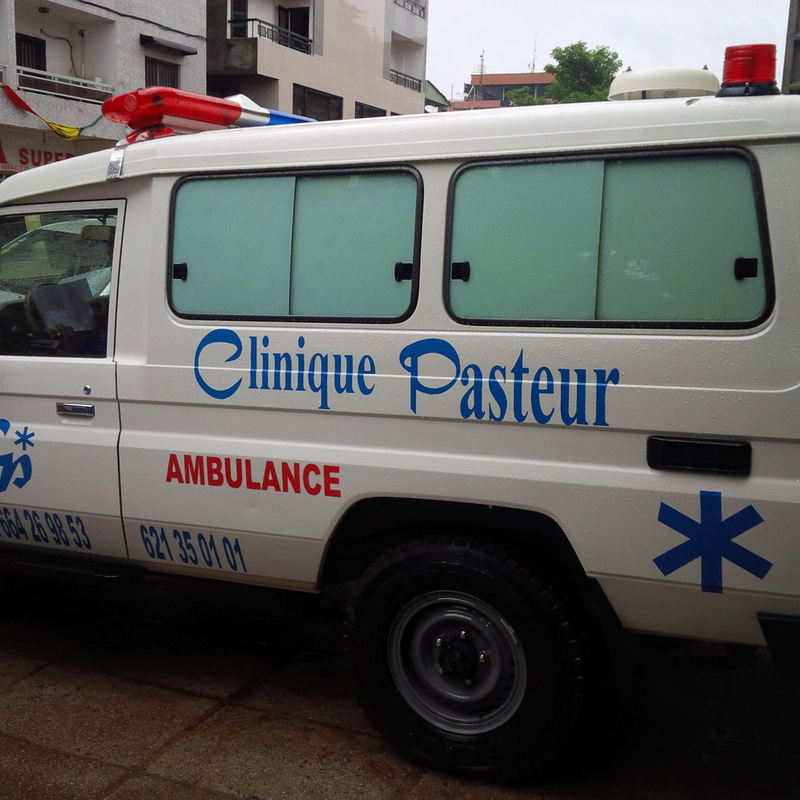 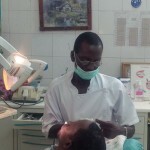 This level of clinical experience has never been available in Guinea before, but it is crucial to developing a functional local dental sector. 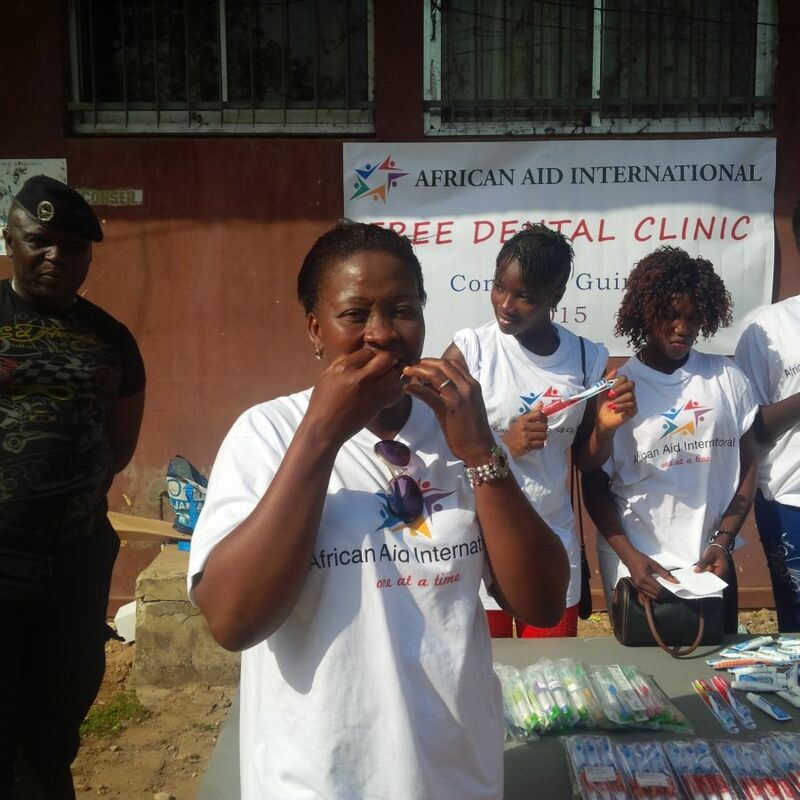 By training local dentists properly and providing them with a high standard of equipment and supplies, AAI aims to create a local industry that will serve the needs of the local population on a permanent basis. 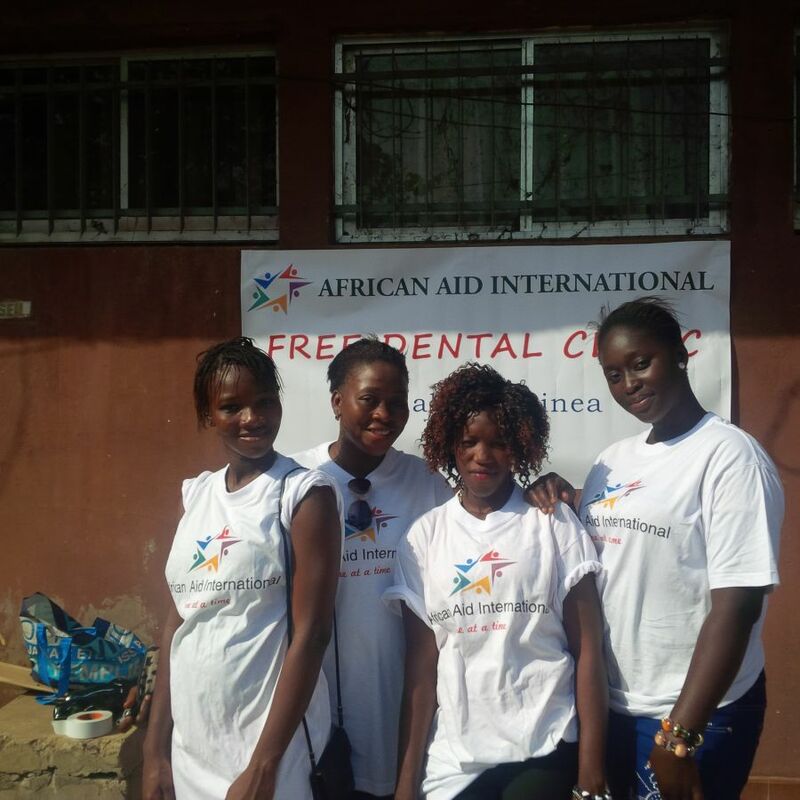 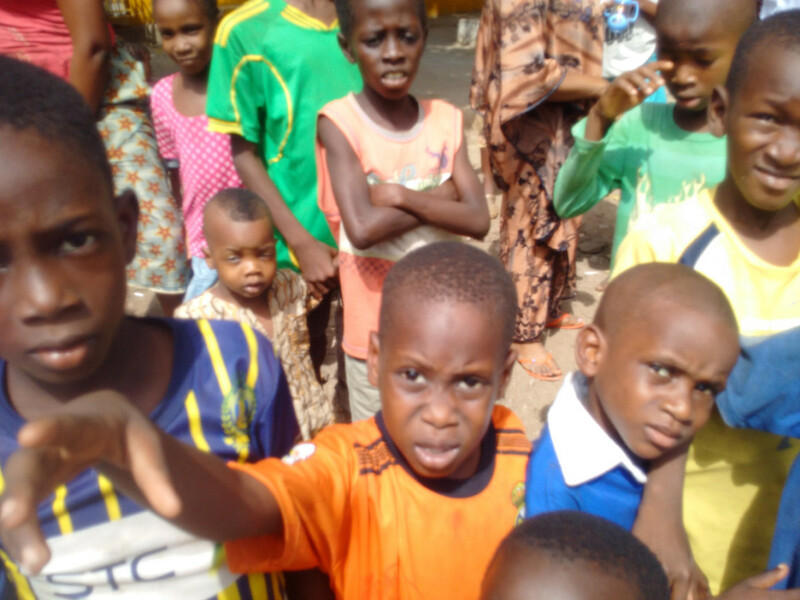 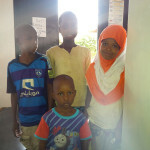 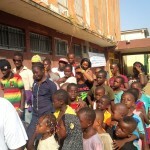 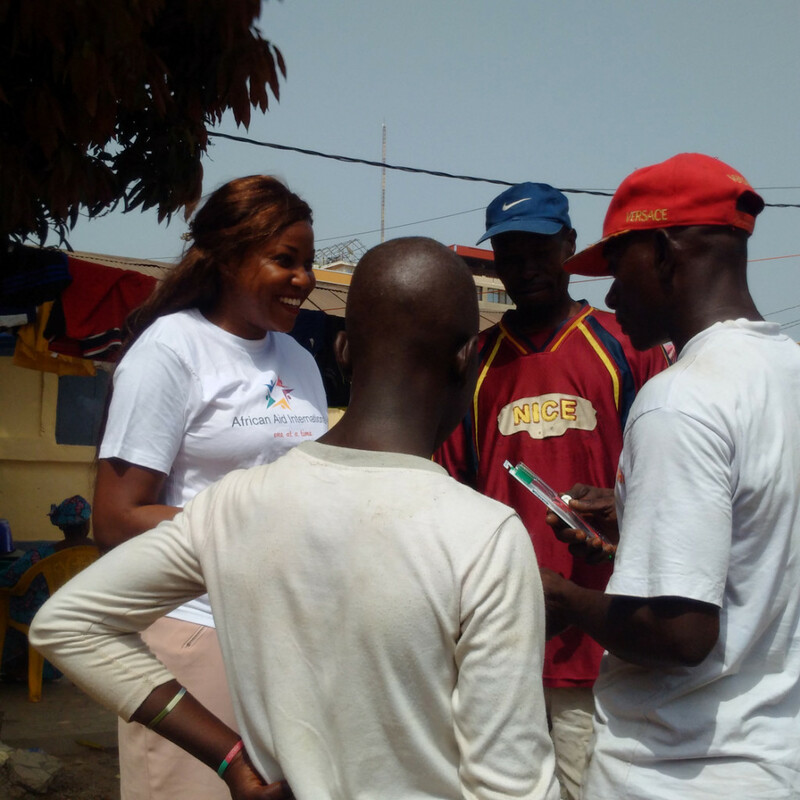 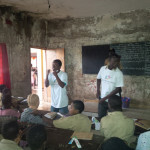 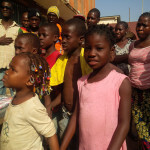 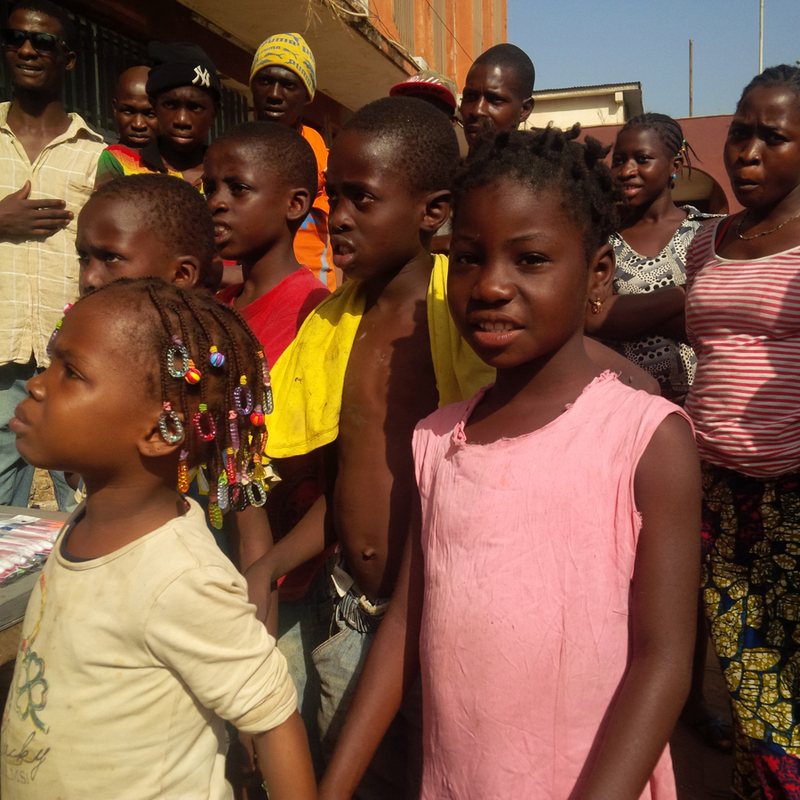 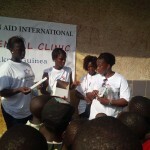 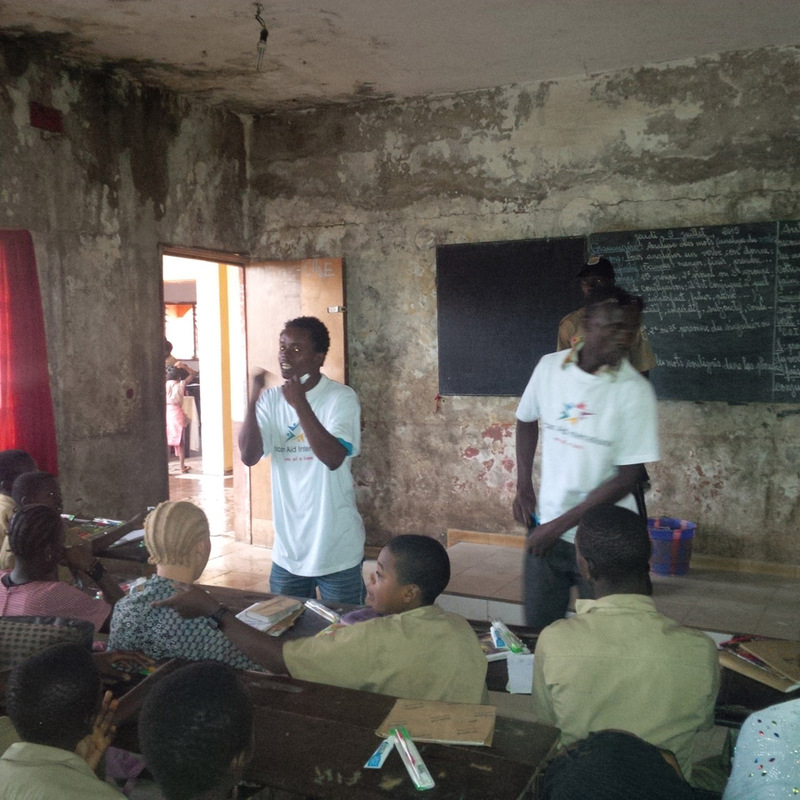 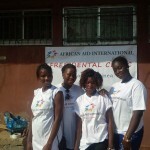 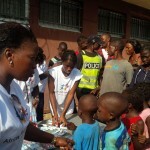 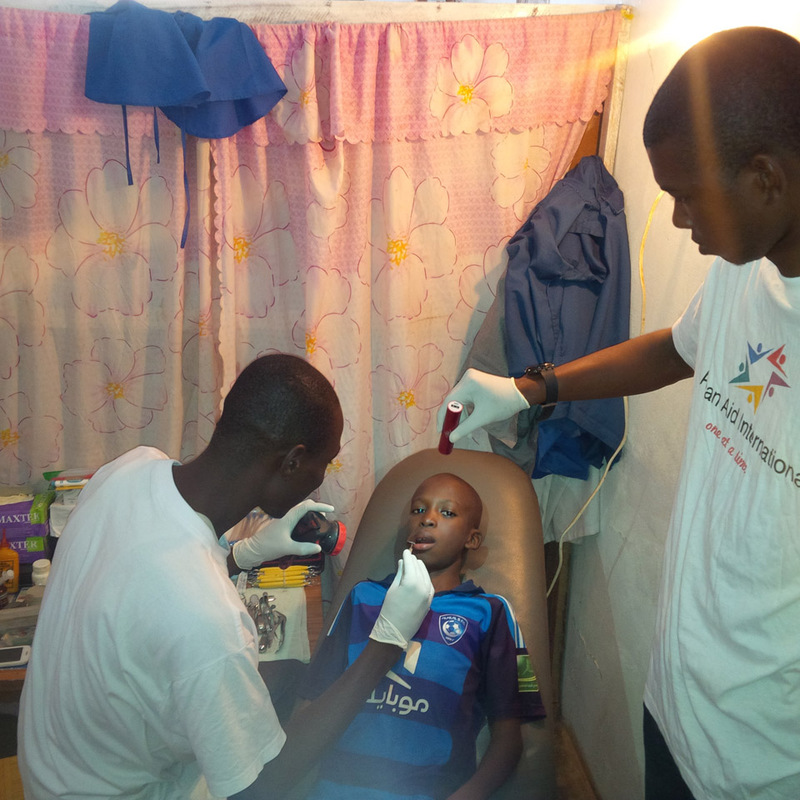 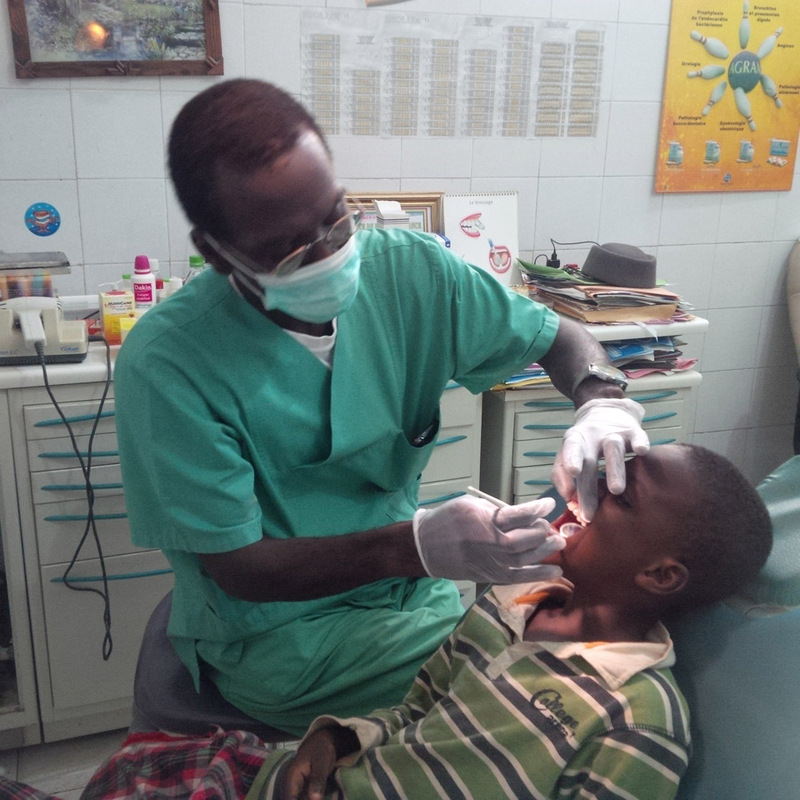 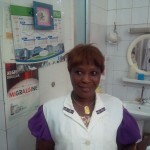 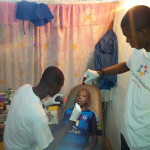 Locals serving locals in local facilities is our vision for a sustainable solution to the West African dental crisis. 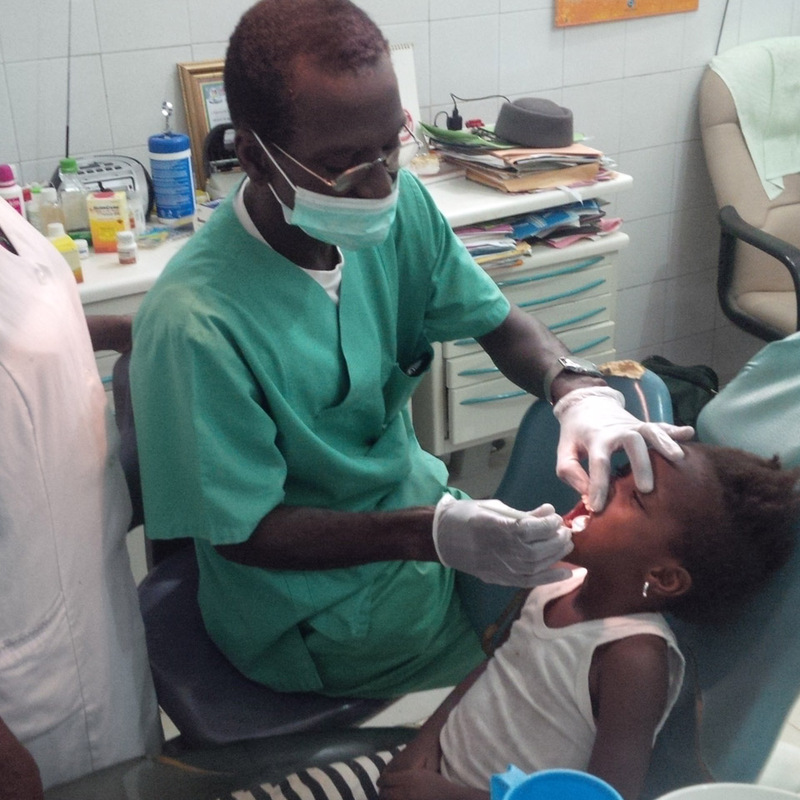 Our clinic began treating patients in August 2017, and we aim to treat over 7000 patients in the next year. 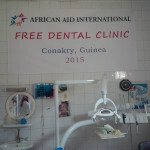 The cost of treatment per patient in the AAI program is as little as $25 and the cost of the dental kits we provide are only $3.00 each. 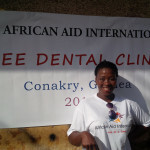 Think about it – for $25 you can save someone from a painful condition for life!